Who else has been following The Refashioners 2016 over at Makery? This year the theme is jeanius, refashion jeans into something. I'm not sure about you, but I have loads of old worn out jeans in my stash that need a new purpose. 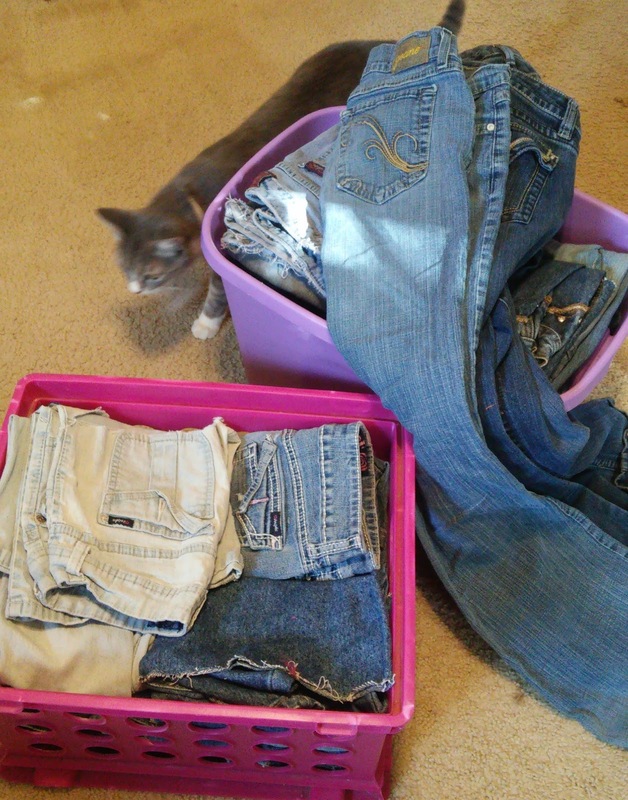 Yep, two bins full of jeans. 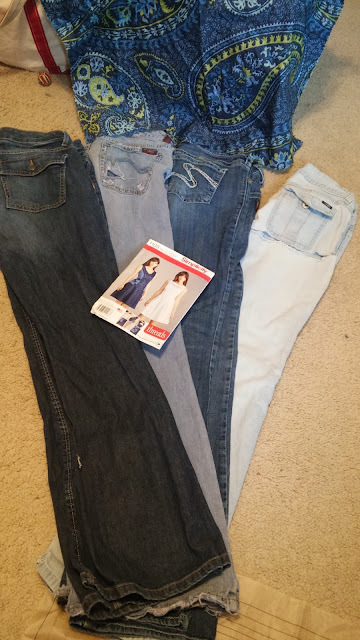 When I heard what the Refashioners' theme was this year I decided I was going to have to make a significant dent in my stash of holy jeans, if not use them up entirely. My first plan for some of these jeans? 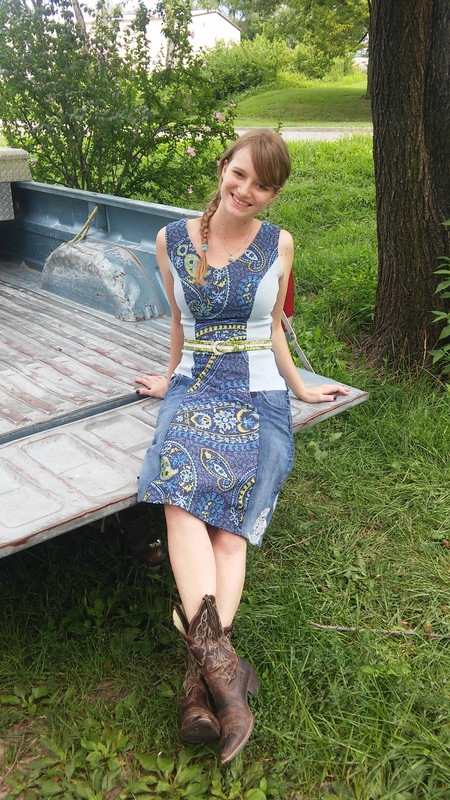 A dress made from 4 pairs of jeans and a upholstery remnant using Simplicity 1103. I always need pockets in my dresses so I took advantage of the pockets the jeans already had. Since all jeans fade differently, rather than to attempt to find 4 pairs of jeans in my stash that were approximately the same color I opted to mix light and dark denim for a color blocking effect. 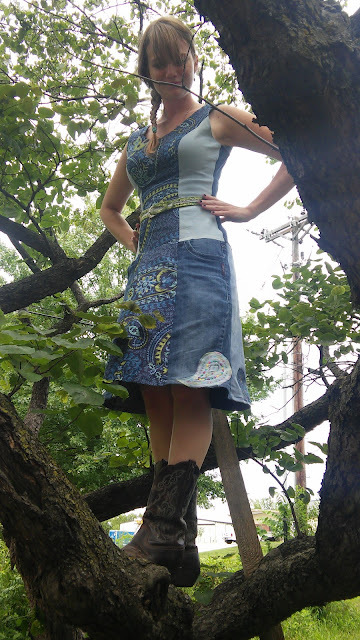 I'm a rather a fan of paisley, as illustrated by the upholstery fabric center panel, so I decided to carry that theme around the entire dress by cutting little paisleys from my scraps and appliqueing them onto the skirt panels. I love my new dress! To get an indepth look on exactly how I made it check out my blog post! 4 pairs of old jeans used up, now lots more to go! 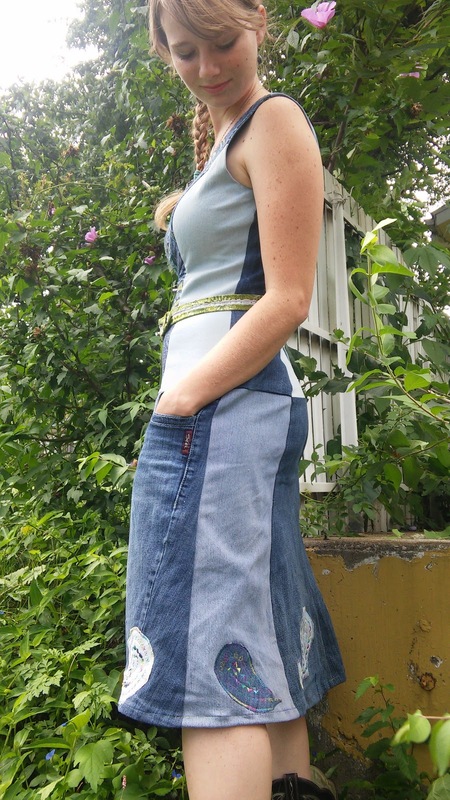 Anybody else refashioned old jeans into something else entirely? I have a few more ideas up my sleeve, but will they be enough to use up my stash? That is the question. I love the different colors and all the pieces that go together so well. It's a lot of detail work for you to do and it came out very pretty. The dress is fantastic! Great job! I love the mix of jeans and the paisley appliques. Again, great job. Thanks! I'm pretty pleased with this dress! You'd never know that was jeans!